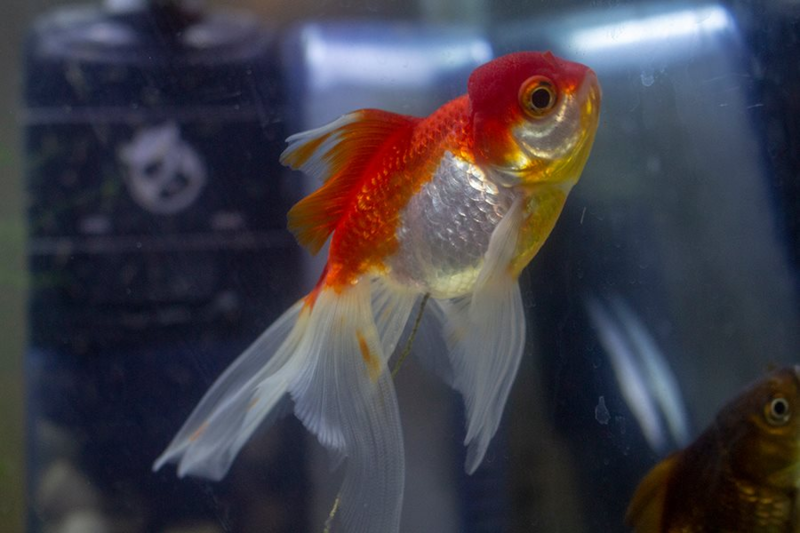 FishyMandy, all of your goldfish are beautiful and it’s obviously that you dedicate a lot of time and love to them. I've never truly had a Ranchu either. I have tried twice... But both died within days of me getting them. Got them from different sources and both seemed fine when I got them so I just figured I'm not destined to have a Ranchu. I think they're cute. I like Orandas, but don't currently own any and they aren't my favorites. Everyone here knows that MY favorite variety by far no contest is the Ryukin. 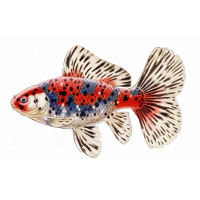 I love calico coloring the best but calico in Ryukins tends to produce weak shapes and so truly it isn't great on the variety. Right now I have short tailed Ryukins. I've come to like them more than the longer tailed ones because their shapes are usually better. This one is named Star. A male. The ONLY variety that I can say I absolutely don't like the look of is a Pearlscale. Golf balls with fins just don't appeal to me whatsoever. I would never own a bubble eye either but they can be kinda cute to me sometimes. 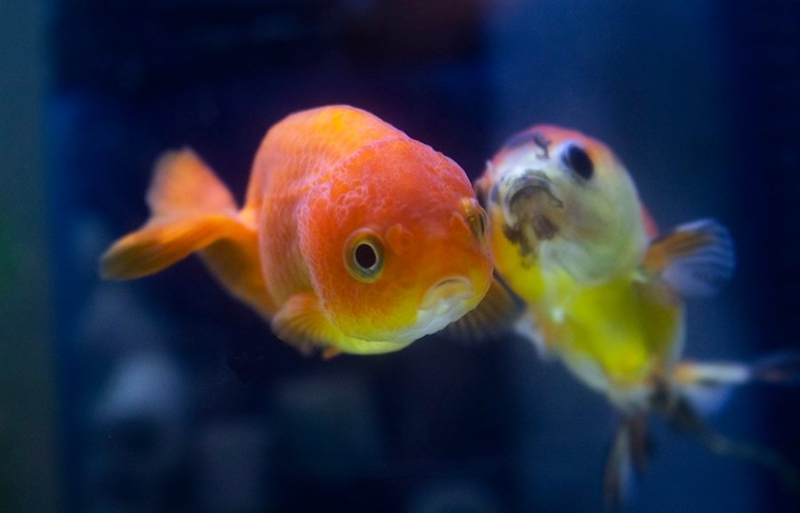 I have had alot of Ranchu's. I just love that squishy face they have. So much for "stopping it with the newbies"
But I am getting another tank along with them. Though I'm not planning to keep it as a goldie tank, will use it to QT them in then rearrange ponds to make space for them. Lol... Welp so much for that! I'm sure you'll make it work. I absolutely CANNOT manage another tank and I don't want to keep goldfish in a tank anyway, so hopefully I can stick to my guns. Can't wait to see your newbies. Seems like several fish. Yea, it is lol. I'm not 100% sure how many but friend is giving me her tank and fish. I think it's around 5 but wont be quoted on that lol. If it comes to it I'll chuck another pond up lol. Ponds definitely easier to manage than more tanks. I never owned 'chus before but I'm in love. I wasn't too excited about the new fish part of the deal but I admit I'm absolutely loving them. The little girl in the second photo is so cute. They all look quite young too. Small wens, don't look very big. So you get to raise them up a bit and put some growth and whatnot on them as well. Very nice! Judging by all the poop they're trailing though, someone has been massively over feeding them. My goodness! Well, Lucy, the orange and white ranchu, and my favourite of the newbies, is pineconing. Disappointed, but can't say I'm surprised somehow. She's my favorite as well. Sad. Maybe she will pull through. None of them look very old and so it's odd that multiple of them are having dropsy issues. I've never had dropsy myself, but it's uncommon to get multiple fish to come down with it at once. Did your friend have issues with fish illness and loss before she passed these to you? Just wondering why she pulled away from the tank and fish. Might be related. 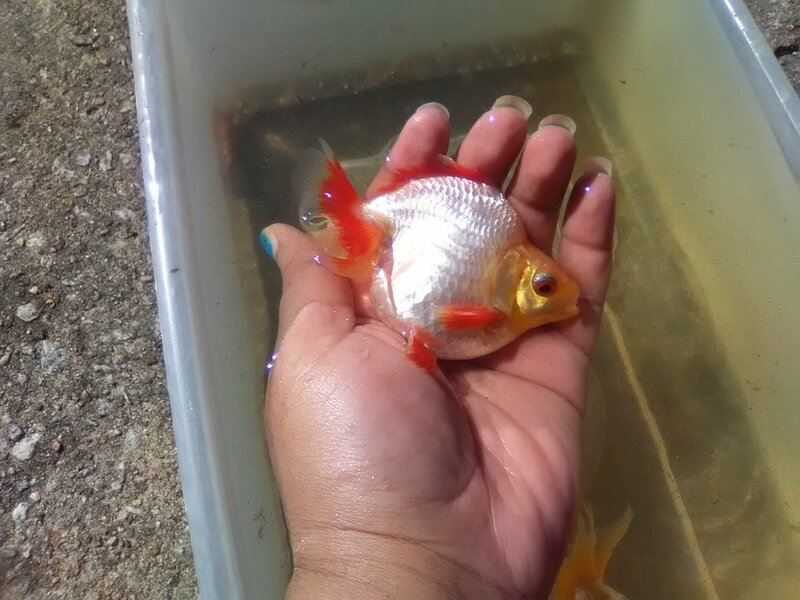 I haven't had dropsy, but I had a massive outbreak of disease from a foreign (seemingly healthy) fish last winter that destroyed all my babies. No medicine could save even one of them in the end. I gave the same seller another shot but said I would never mix his fish with mine. When the new fish begun to show signs, I threw in the towel, unwilling to risk another mass outbreak. My point is, at this point, if these were my fish, I would unfortunately put them all down or seek to send them back to where they came from. It seems like something is spreading and after my nightmare, I will never take chances with the unknown. If it were ich, my decision of course wouldn't be the same but if I don't know what is causing fish illness, I won't take any chances. You truly did a lot to make me like single tails more and more and I actually am beginning to actively find some of them nice and want them. This is Blueberry, or just "blue". I got this fish thinking of nothing but you, so I figured to show you. Got her on the 6th, this was uploaded on the 7th. She's still fine thankfully. I think this girl will go into the mud with the others when she's done with quarantine, she seems strong. I am most likely going to euth them. I've had multiple cases of dropsy, thankfully nothing these guys have touched have touched anything that touches any of my other fish. I'm so super careful with keeping QT stuff separate now since having things creep from a QT to a main tank. It is a bummer though. One fish died before it got to me, I didn't get a good look at it but that looked pineconed too. She said she was giving them up because she needed more time to focus on her family but who knows. As far as I know all these fish were from the same source, a LFS that I have bought from multiple times without issue, I know for sure at least 3 of them were from there, but saying that I don't know what her maintenance was like, there were 6 (small) fish in a 50g tank, its quite tall compared to it's length (a corner tank) not great for fancies, they were in a bucket for about 24 hours before I got to pick them and the tank up, the one that died before I got there was dead in the bucket when I got there so no idea how long it had been dead in there for. So I feel like there is a lot that could be contributing to it. The only other time I've had multiple fish get dropsy at the same time was the three calico butterflies I bought...2 years ago? They all came from the same place (Not the place mentioned above), bought at the same time, two were dead a week later,competely pineconed, the third, pineconed very slightly but pulled through, she's never been completely 'right' though and if she ever started pineconing or anything again I wouldn't even try to treat. My friend, who bought fish from the same batch from that store, also lost half of them to dropsy. Small young fish. 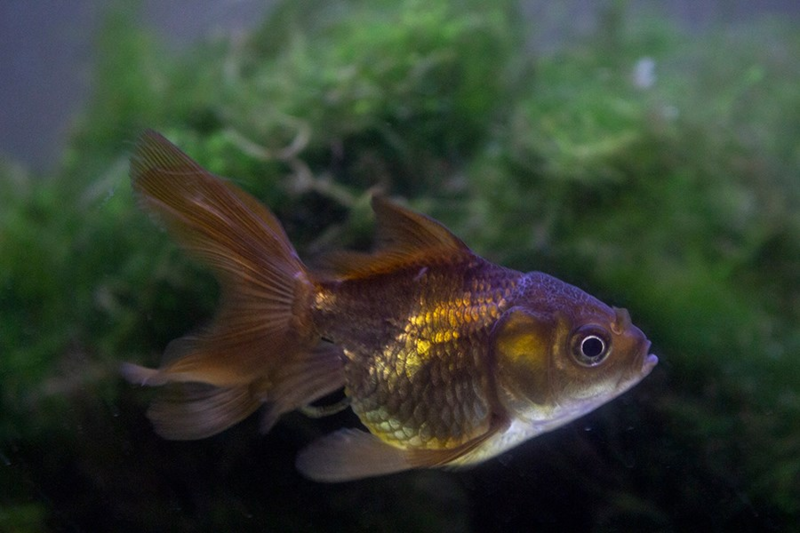 Overall I've had dropsy more times than I wish to think about, but has mostly been in older fish who had been with me for 7+ years. 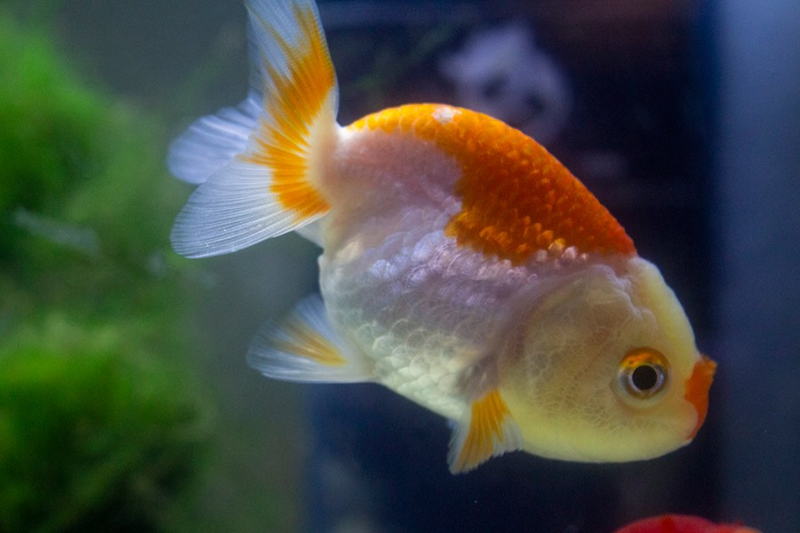 I hate dropsy, Id honestly rather find the fish dead with seemingly no explanation than see them with dropsy. Gotcha. Seems that sometimes there's just a bad batch. It does happen. I'm careful now with quarantine too. I'll never get another import and I quarantine outside on the OTHER side of the house well away from my current fishies. Super careful. I figured you would like this blue baby. I hope he does well because I can imagine how pretty he would look if he were to get to the size of say... Rustic. I've never had a Shubunkin before. 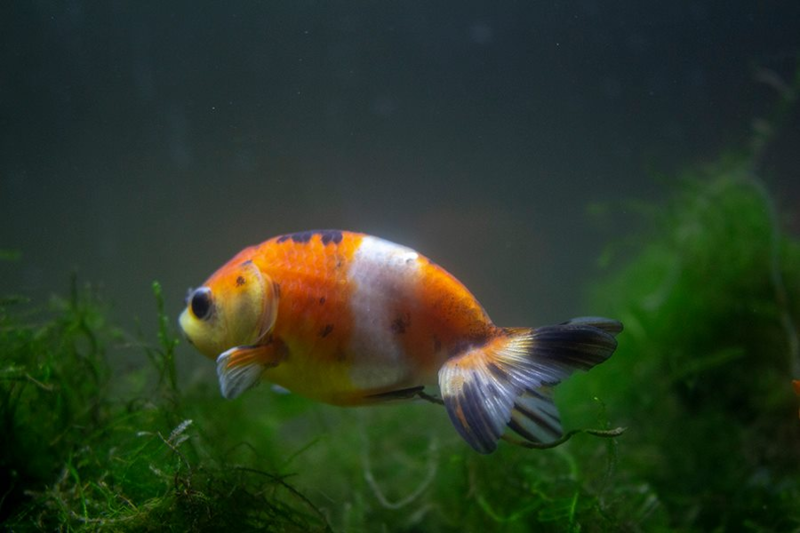 The only non tiny ones I've seen in person is the occasional one at the goldfish show. I'm excited to see if I can grow some Shubunkins this spring/summer. I saw all my mud babies yesterday too. Totally fine. A cold spell is coming, but they made it through the first one and I believe in them. I do have a cover this time to try and keep ice off them. I'm glad all your mud babies are ok.
Oddly enough, Blue here only cost about $2. It's funny how cheap Shubunkin babies are here. I have several types I haven't truly owned before and so far they seem pretty tough and hardy, so with luck I'll be able to raise some types I haven't been able to raise before. A Common, both standard and London Shubunkins, and a Sarassa Comet. There is a new LFS that I haven't been to yet, but have followed on FB, they are SUPER Cheap with their goldie prices compared to every where else I've seen and from the pictures they look great too, am looking forward to checking them out sometime even though I really can't buy any more goldies at the moment. Oh wow. Hopefully you can check them out and maybe buy a baby. Lol I wish you liked Ryukins. How's little Maggie? She will look pretty as a nice chunky adult, as well. Her colors are so pretty. Lol I do Like Ryukins, but it is hard to find nice ones here that aren't like really floaty or looking like they are struggling to swim. I admit I didn't like them much to begin with, but they have grown on me a lot now lol. Maggie is doing great! She's loving life out in the pond. It's been so hot here I've not done anything more than check on them and chuck food in recently but I'll try to get some updated photos of her soon! Eh Ryukins all kinda have a wiggle that can look choppy and not fluid. It's just part of the variety. The more stubby the fish, the more you notice this. But they SHOULD NOT be floaty at all. Here's my little boy. The way he swims is completely normal and he won in his category. This is after multiple days in this yucky tank. This little boy has quite a large hump and a dinky little size so it's expected to swim a bit wiggly. If the way he moves bothers you, then the variety just probably isn't for you lol. They're not great swimmers. Not at all.